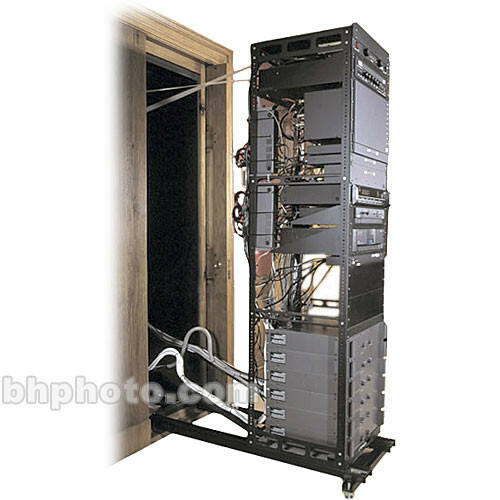 This Middle Atlantic AXS System for Millwork and In-Wall AXS-40-26 is a versatile, high-capacity rack that offers unrestricted rear access to equipment and cabling. Rack mounts on cable tracks and service stand (not included) to create a pull-out frame (48" length extension) that reduces time and labor. The extension can be disconnected for storage. This rack is ideal for flush, in-wall mounting or with the use of custom molding or panels to conceal rack when not being used.